After Mother's Murder, Artist Photographs Prisoners On April 1, 1988, Deborah Luster's mother was murdered in her bed by a contract killer who came in through her kitchen window, walked down her hall and shot her five times in the head. Luster, who was 37 at the time of the murder, says she was able to "dig out" of the "mess" she found herself in by photographing prisoners. Photographer Deborah Luster was a baby when her mother and father divorced. She lived in Arkansas with her grandparents in the 1950s and communicated with her mother through photographs. "If I got a new coat, I would have to be photographed. And usually I wouldn't want to be photographed — it would be the back of the coat," Luster says. "From her, I would get posed photographs. ... She would dress up even when she was cooking — designer clothes and high heels. I mean, she'd wear a mink coat to a tractor pull. Red hair, big glamourpuss. But she never put on any airs." On April 1, 1988, Luster's mother, Jeanne Tovrea, was murdered in her bed by a contract killer who came in through her kitchen window, walked down her hall and shot her five times in the head. Luster had met the man who years later was convicted of the killing. He had came to her mother's home a short while before she was killed posing as a journalist to interview Tovrea about her ex-husband. Because Luster was the only other person who had seen him, she reasoned that he might be after her as well, she says. For about seven years after her mother's death, Luster says, she was "pretty much a mess." So she turned to photography. "My mom had photographed constantly, my grandmother had photographed constantly," she says. "Photography became something that I could think to do to try to dig out of the place I had found myself." Luster began documenting the impact of poverty on the lives of people living in northeast Louisiana. "While I was scouting to photograph in northeast Louisiana, I just kept coming across these little prisons," she says. "It was a Sunday afternoon, and I knocked on the prison gate and the warden came out and I asked him if I might photograph some of the inmates there. I photographed there once and realized that it was a project I had been looking for for a long time, something in response to the murder of my mother. It was like it lifted when I went in the gates, it became something else." Luster was given entrance to the women's prison in St. Gabriel, the minimum security male prison in Transylvania and the Angola maximum security prison. She spent the next 3 1/2 years taking photographs there. Most of the inmates posed themselves. She started taking very formal, straightforward portraits — sometimes the prisoners would hold something, like a box of valentine candy or a shoe. 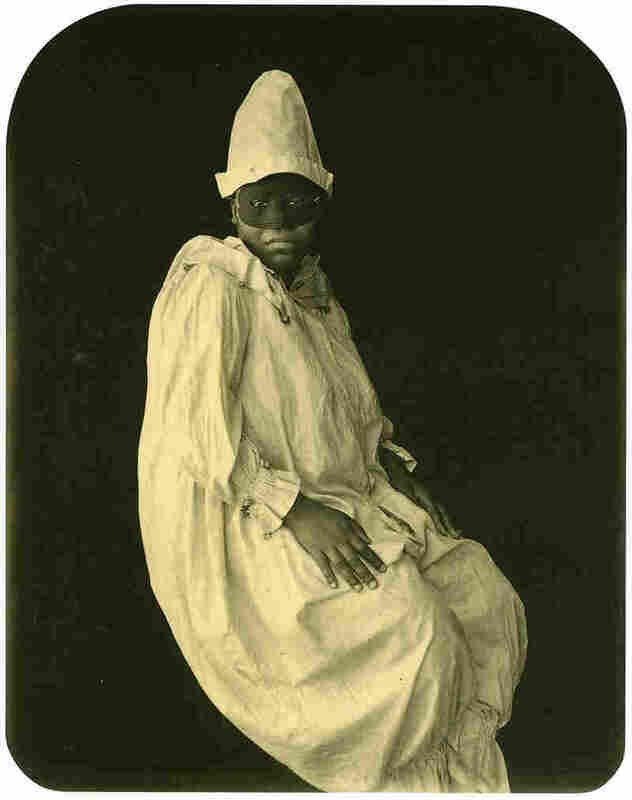 She photographed in the cotton fields at Angola. Her photos captured the faces of the women at their Mardi Gras celebration in St. Gabriel. She photographed the Halloween haunted house at the women's prison — all these traditional Louisiana costumes and archetypes, like Alligator Girl, Rat Face. 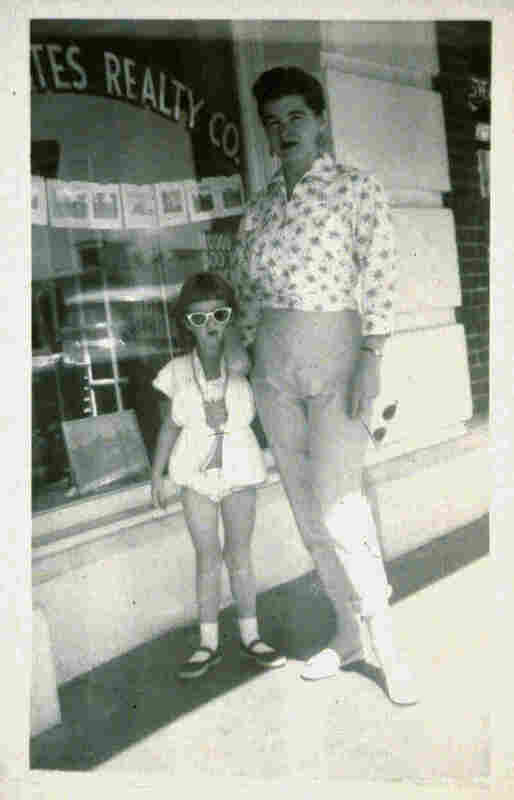 Luster would photograph while her friend and poet, C.D. Wright, interviewed the inmates. Out of these conversations came the series of poems that accompany Luster's photographs in the book One Big Self: Prisoners of Louisiana. The book peers into the hidden worlds of family, crime and incarceration and also has been created as an exhibition that has traveled to museums and galleries around the country. "The decision was to photograph the inmates in their whole selves," Wright says. "The perspective was that everyone is a whole person, that they're not just the sum of their worst acts or even their best acts." At Angola, 90 percent of those imprisoned die there, and the photographing was very sober, very formal. The way the prisoners posed seemed almost like the 19th century. Luster would give the images to the prisoners. If you will allow me time. To make a dove. I will spend it well. A half success is more than can be hoped for. And turning on the hope machine is dangerous to contemplate. First. I have to find a solid bottom. Where the scum gets hard and the scutwork starts. One requires ideal tools: a huge suitcase of love a set of de-iced wings the ghost of a flea Music intermittent or ongoing. Here. One exits the forest of men and women. Here. One re-dreams the big blown dream of socialism. Deep in the suckhole. Where Lou Vindie kept her hammer. Under the pillow. Like a wedge of wedding cake. Working from my best memory. Of a bird I first saw nesting. "I returned 25,000 prints to inmates," Luster says. "They made themselves so vulnerable for me, and it's not often that you have an encounter like that. I know a lot of it was that they were actually posing for the people that they loved — their husbands, their wives, their children. "There was a woman who asked to be photographed. She said, 'I've been here 15 years. I'm down for 99 years. I have 19 children. My children haven't spoken to me since I came to prison. Perhaps if I had some photographs I could send them, it would soften their hearts to me.' A few months later, she said, 'Four of my children came to visit me. The baby came and he's now 19. He was 5 years old when I came to prison.' "
Deborah Luster and C.D. Wright set out to produce an authentic document to ward off forgetting, an opportunity for the inmates to present themselves as they would be seen, bringing what they own or borrow or use: work tools, objects of their making, messages of their choosing, their bodies, themselves. "The last photograph for many of them is their mug shot," Wright says. "Debbie is working out a long-term relationship to violence. This is a very sympathetic project for someone who is a survivor of such a violent act. America is a theme park of violence. It was important that these photographs were very posed and dignified." Luster tried to photograph as many inmates as she possibly could, she says, because she wanted to really show the numbers of people who are incarcerated, to try to communicate just how many of our population reside in prisons. It's one photographer's and one poet's collaborative view into this rarely glimpsed world. "My mother, I think it's the kind of thing she would have done," Luster says. "She had this way of looking right through the veneer, right into people. She could see the bottom in people. She liked to photograph her family, the food on your plate, you brushing your teeth. She photographed what she loved — and that's what she loved."